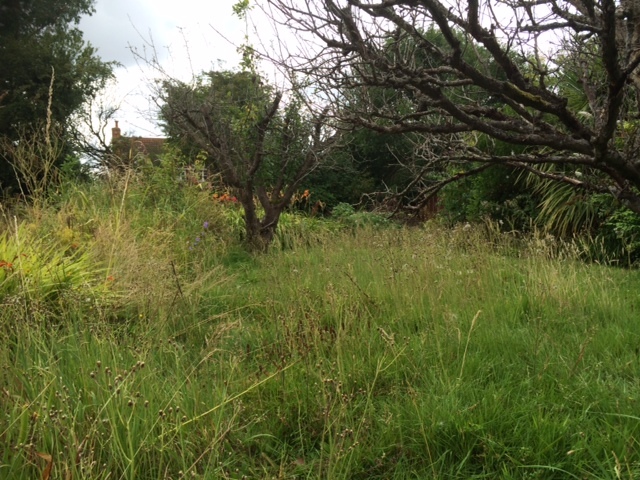 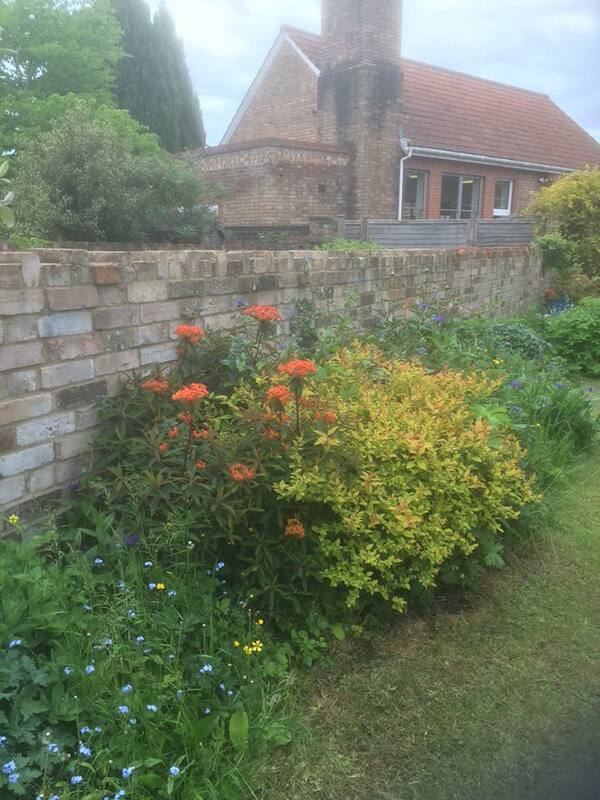 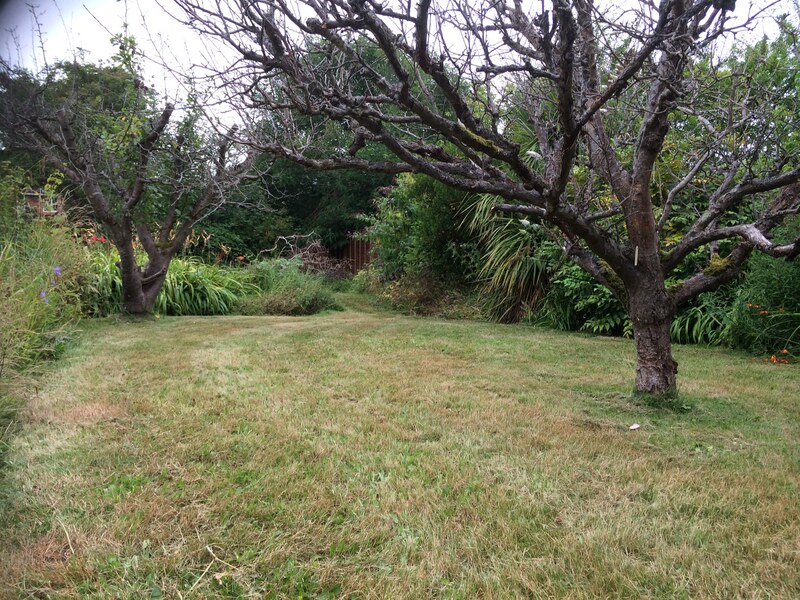 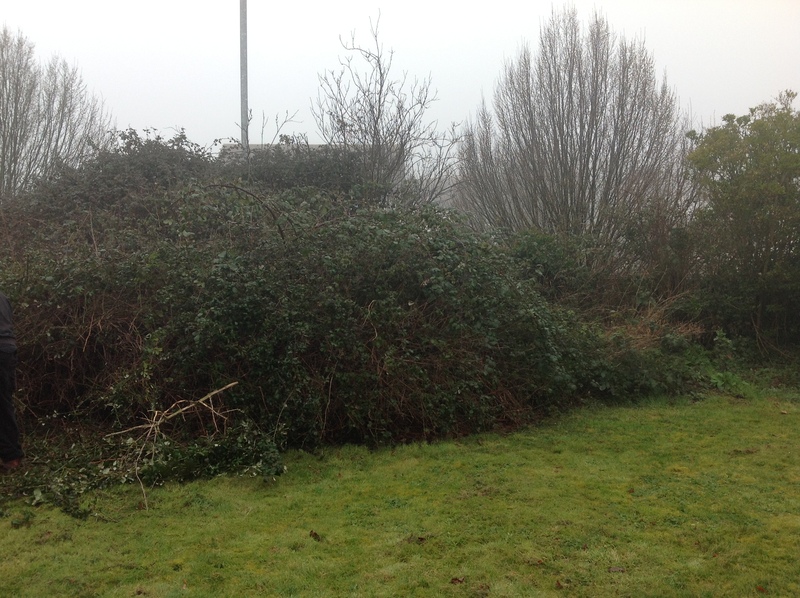 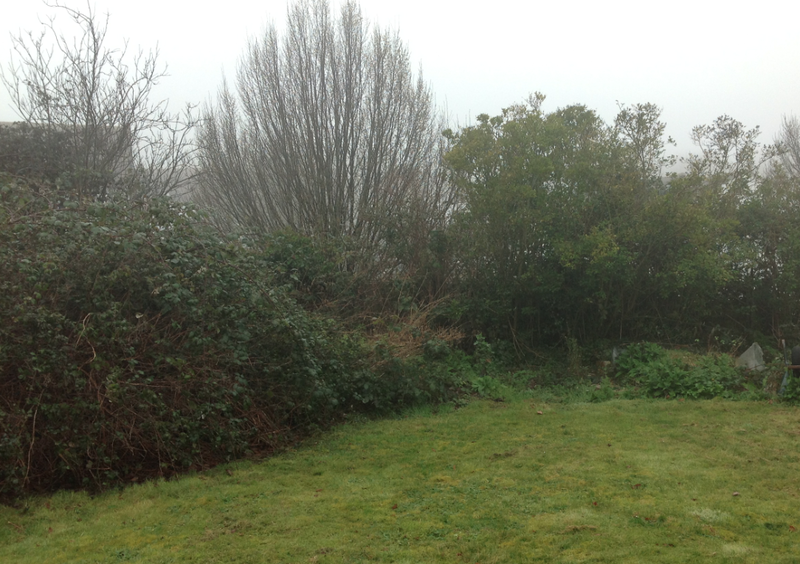 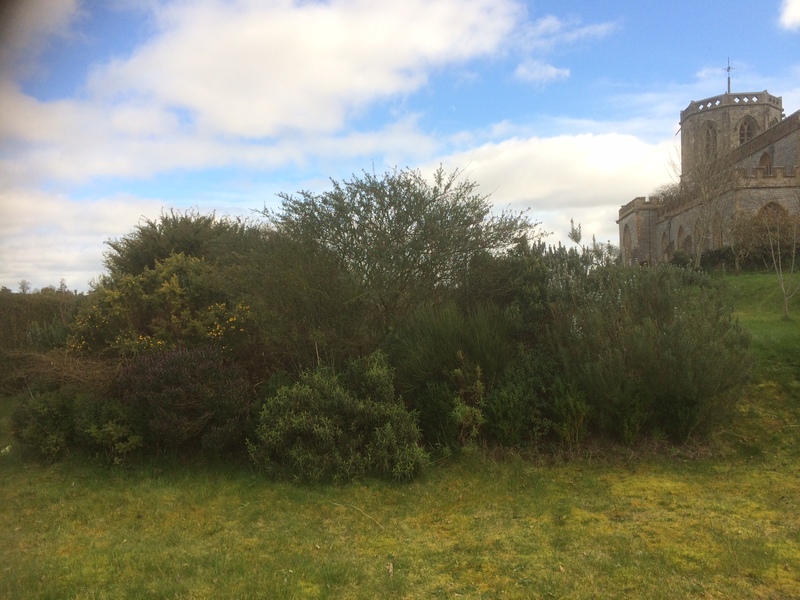 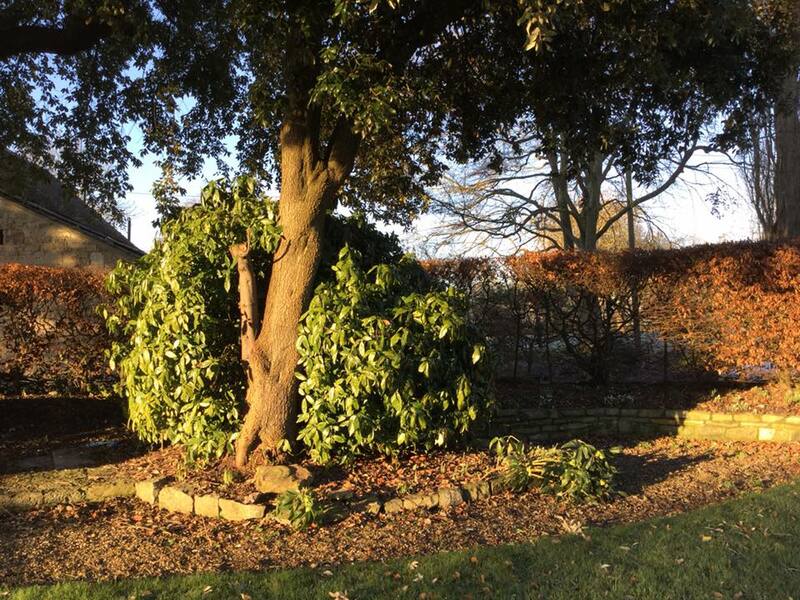 One rather large overgrown area of a garden - see sequence of pictures. 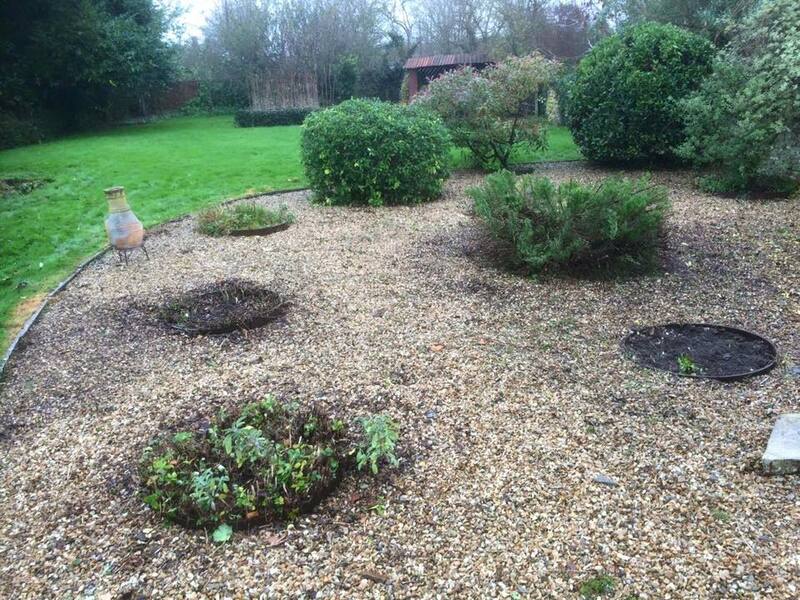 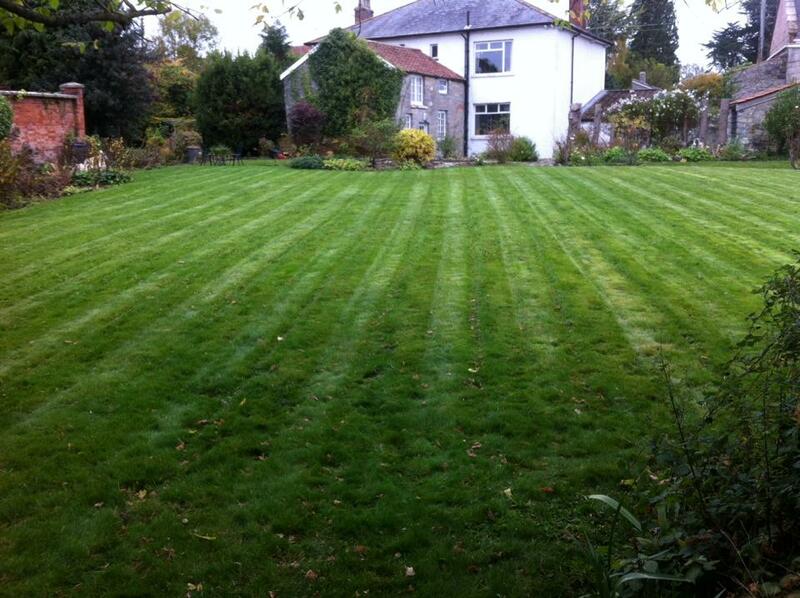 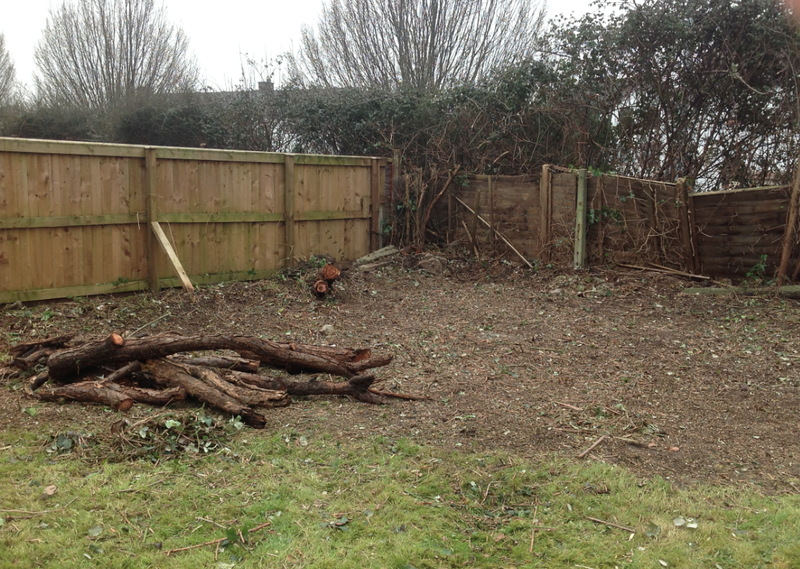 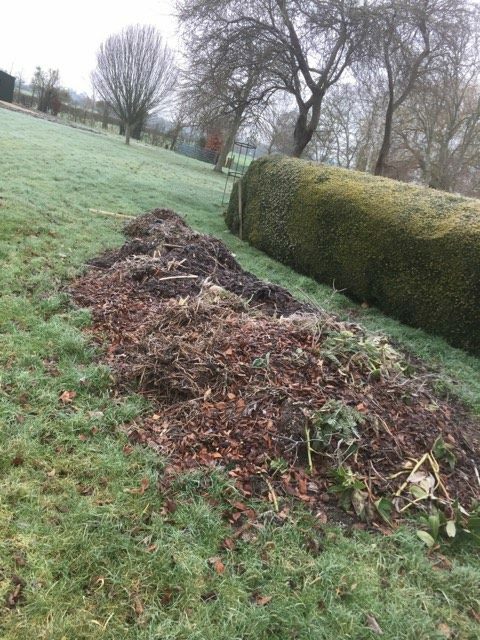 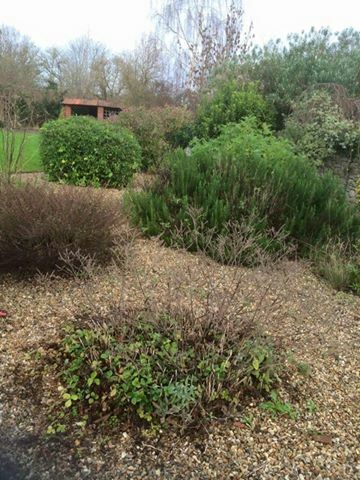 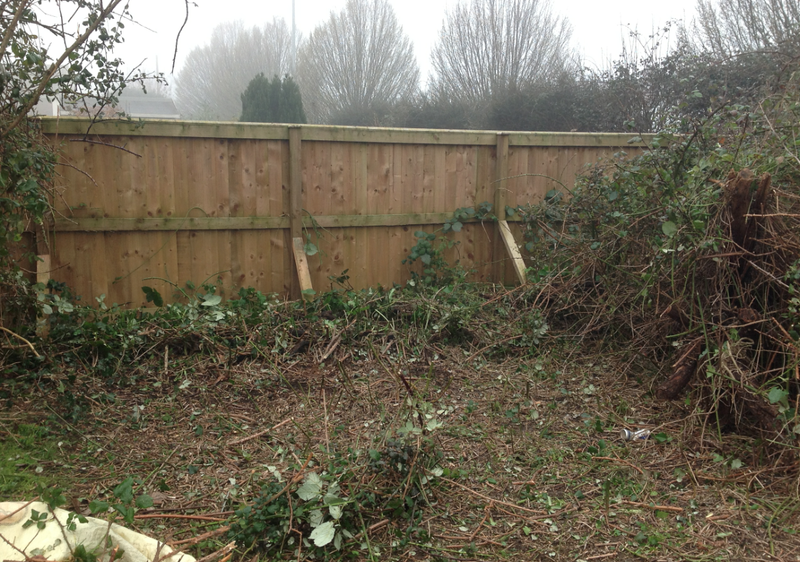 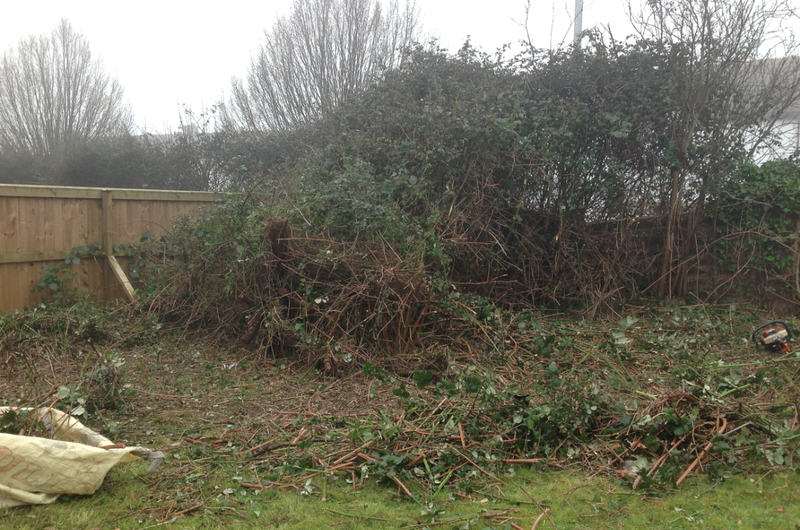 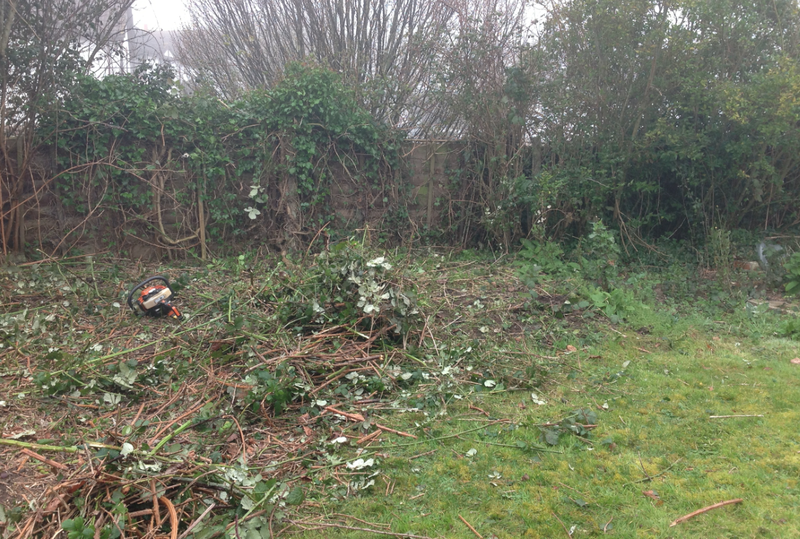 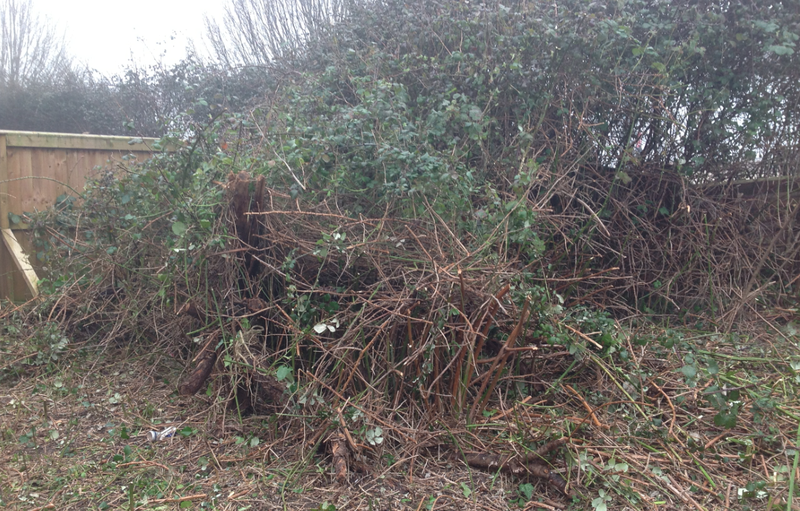 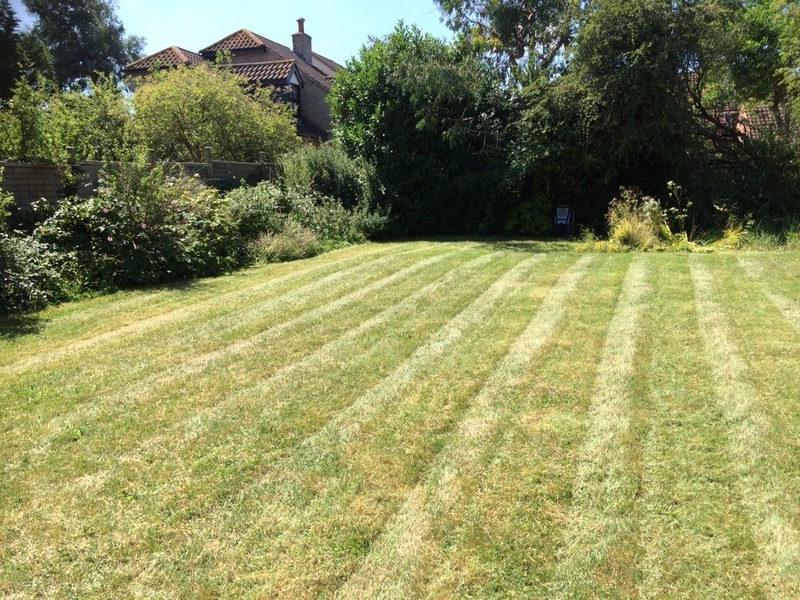 Lots of garden waste and not an easy job but very rewarding to see the final outcome. 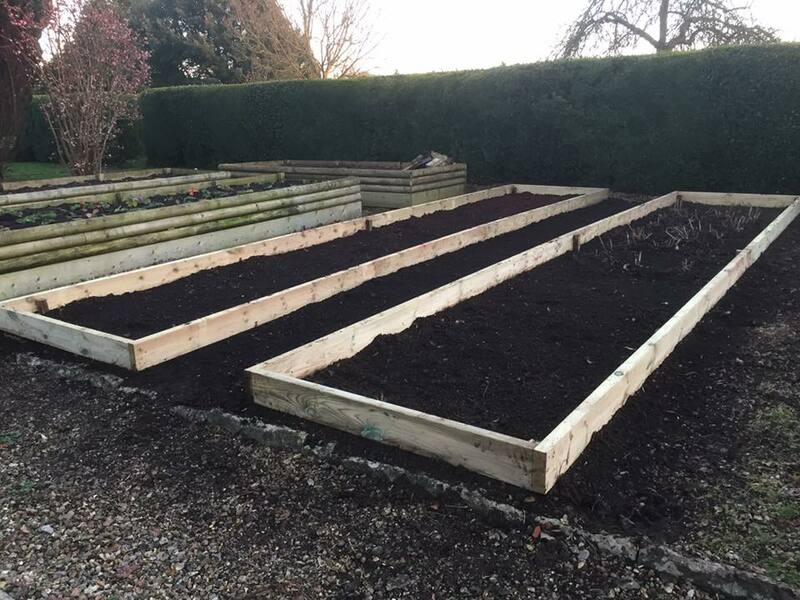 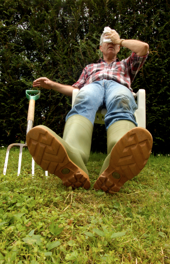 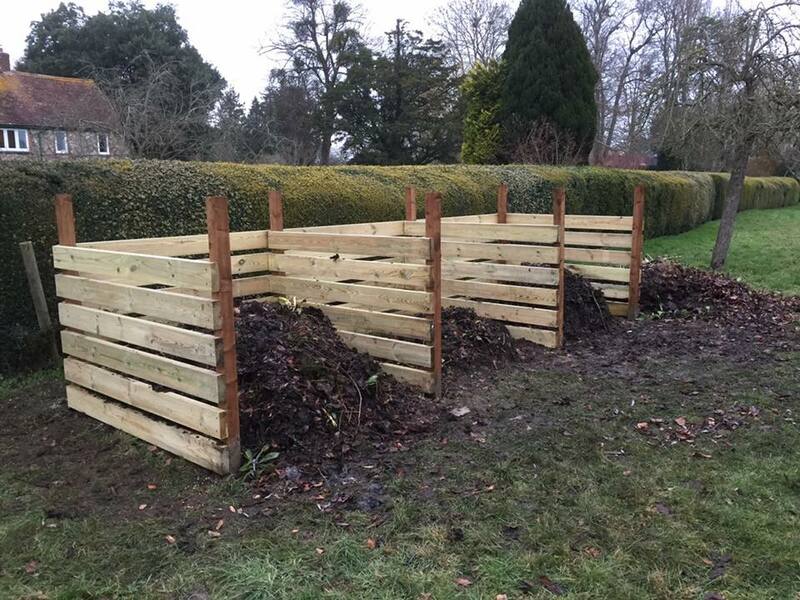 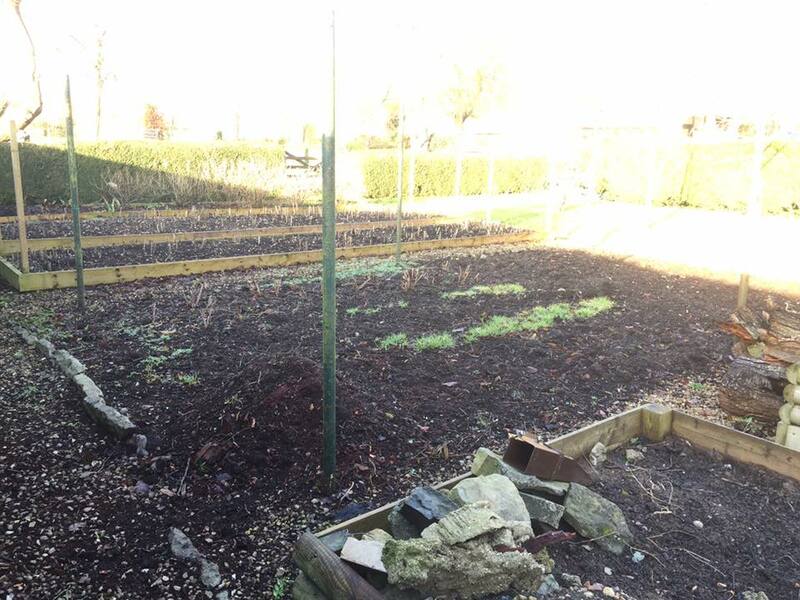 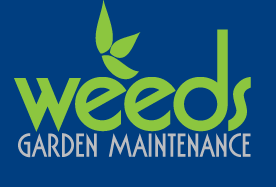 The weeds team do not just maintain gardens, they can also create vegetable/raised beds along with composters. 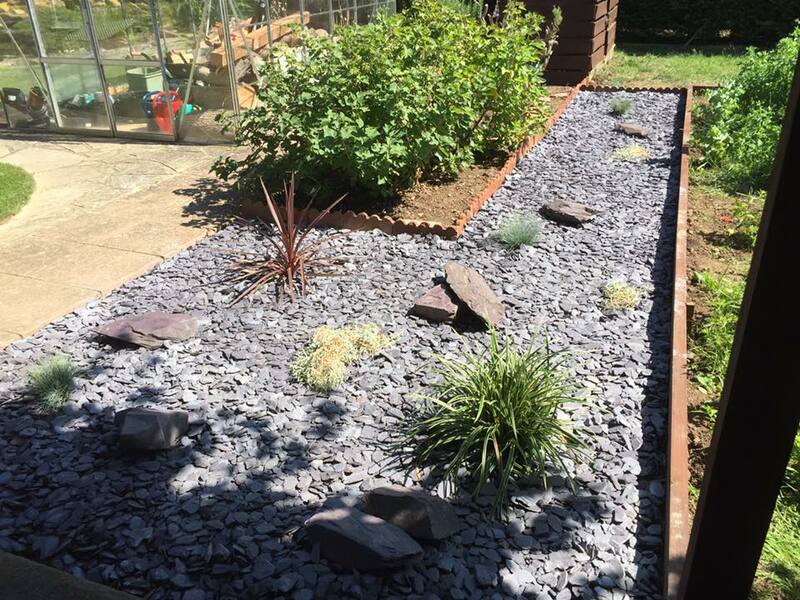 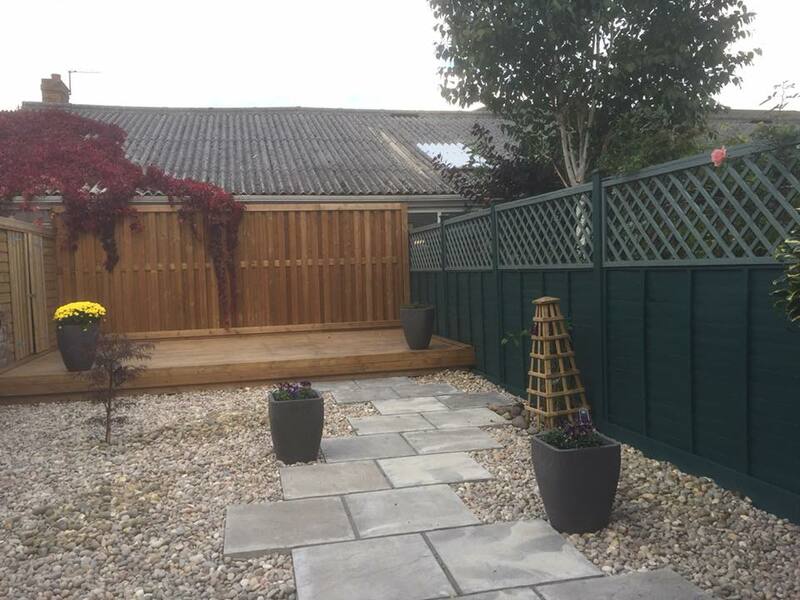 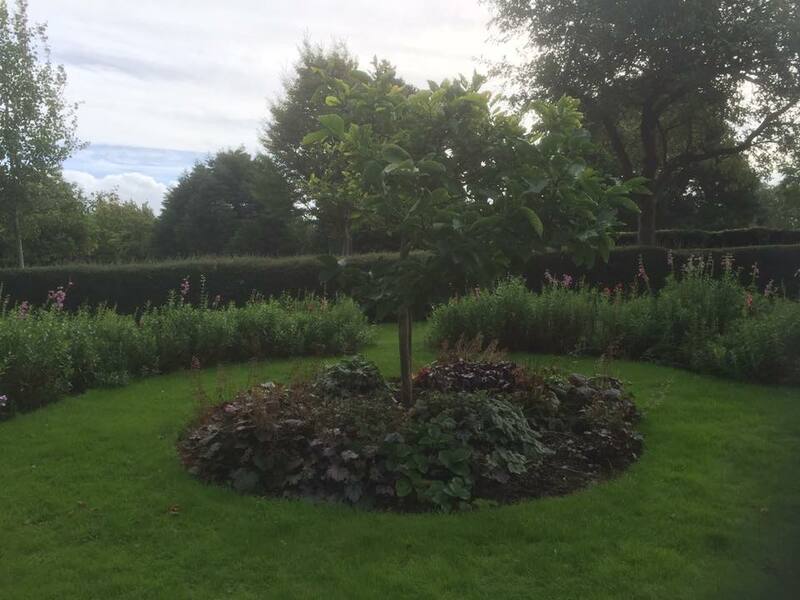 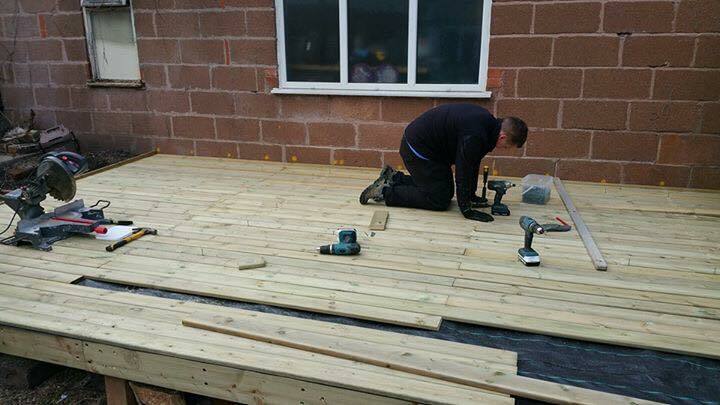 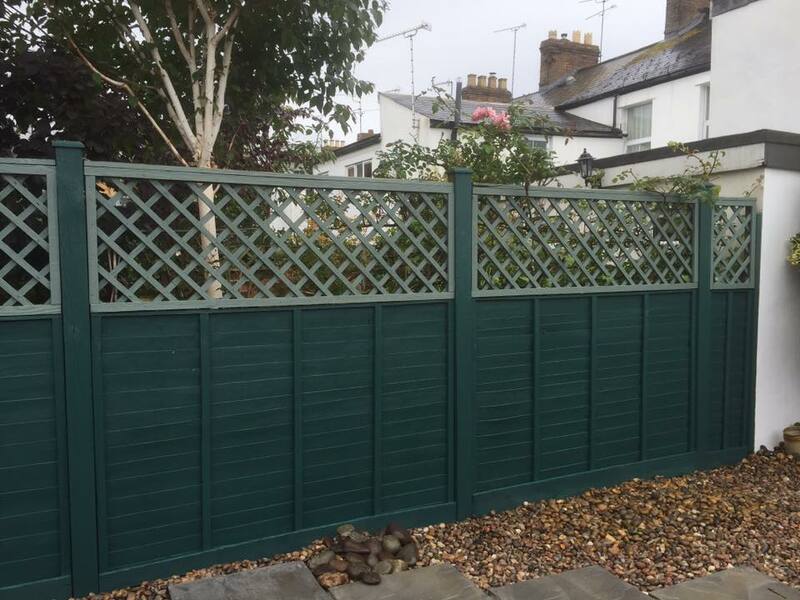 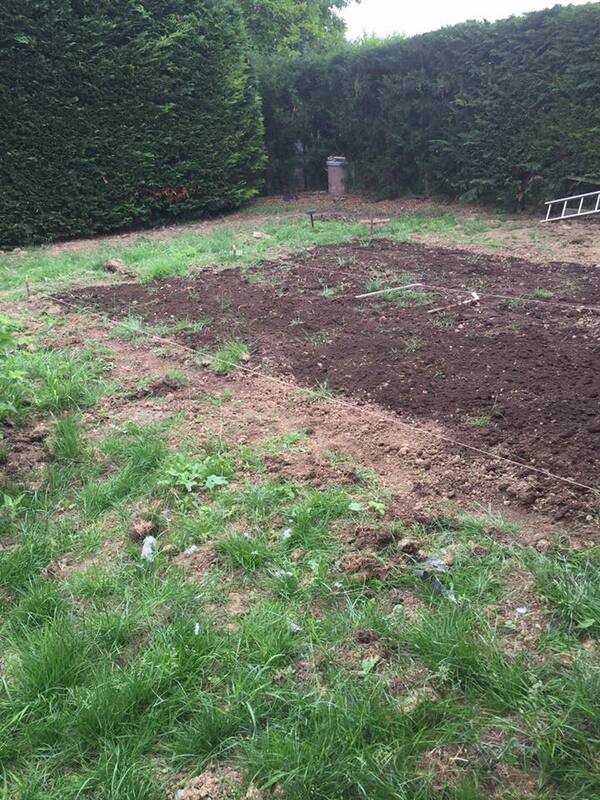 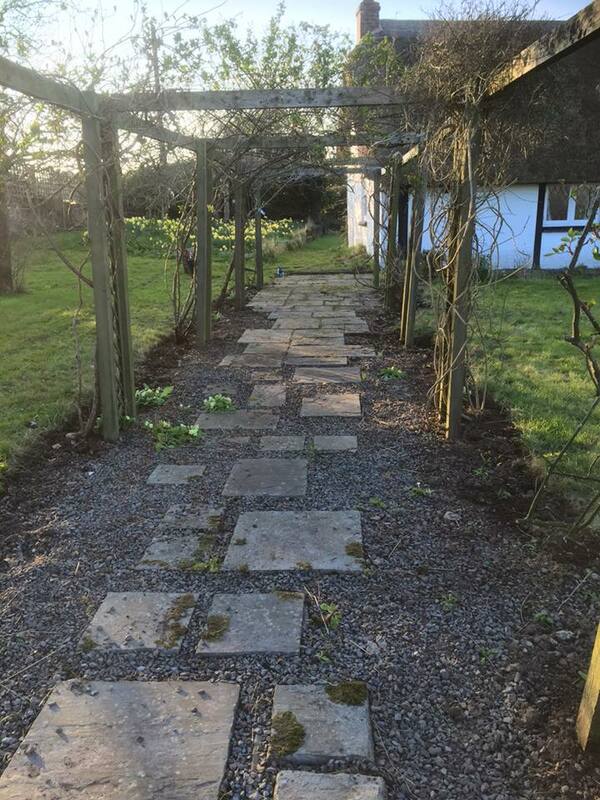 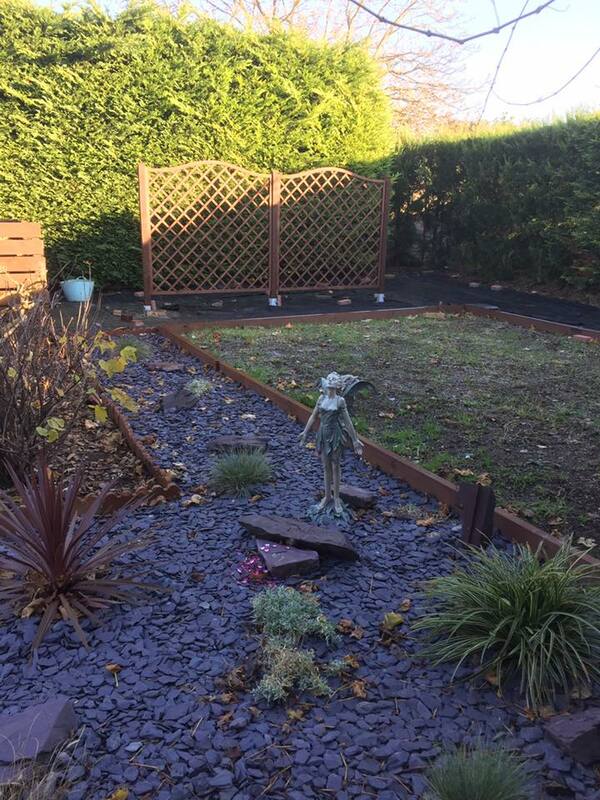 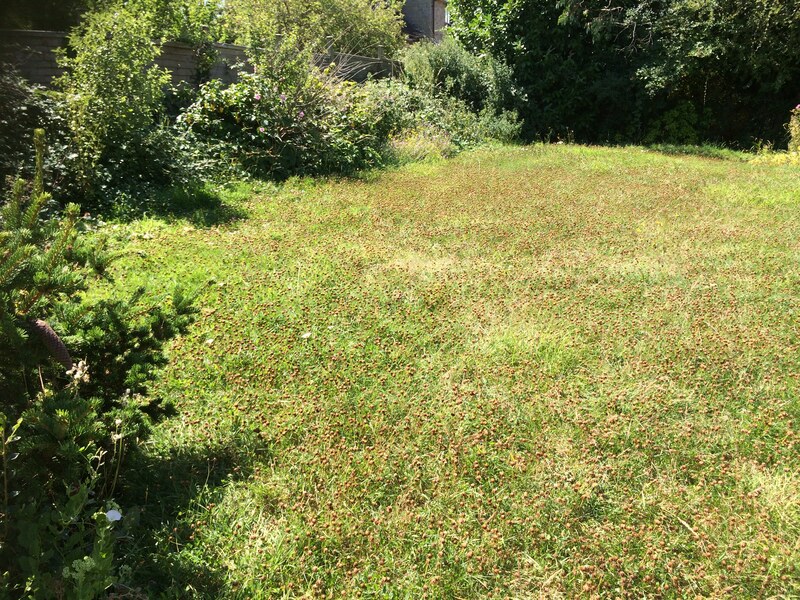 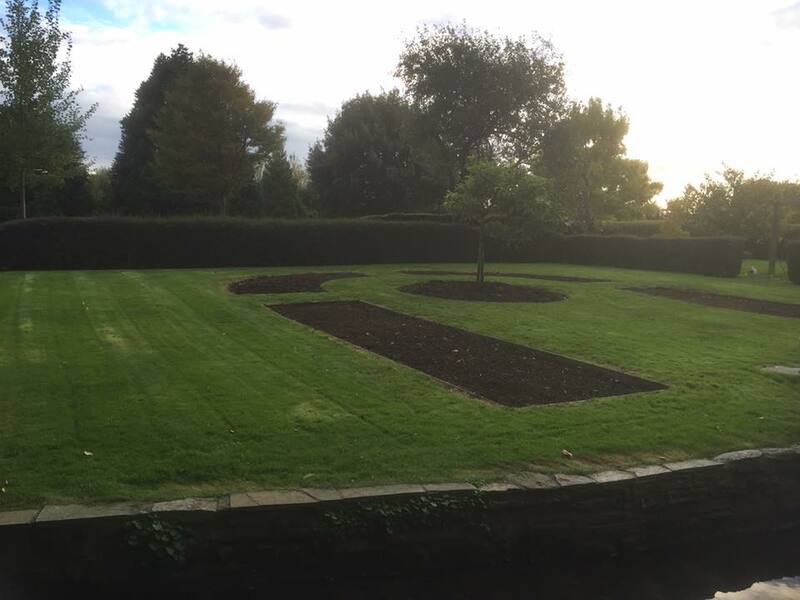 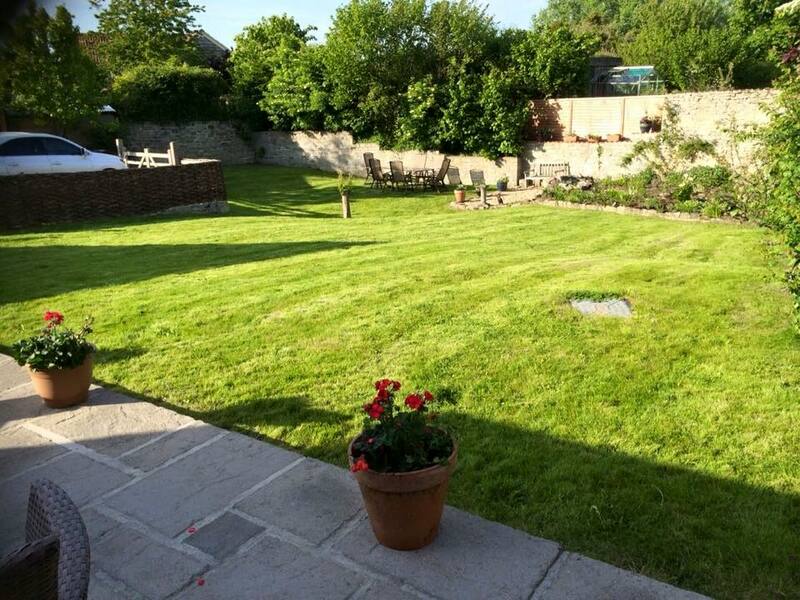 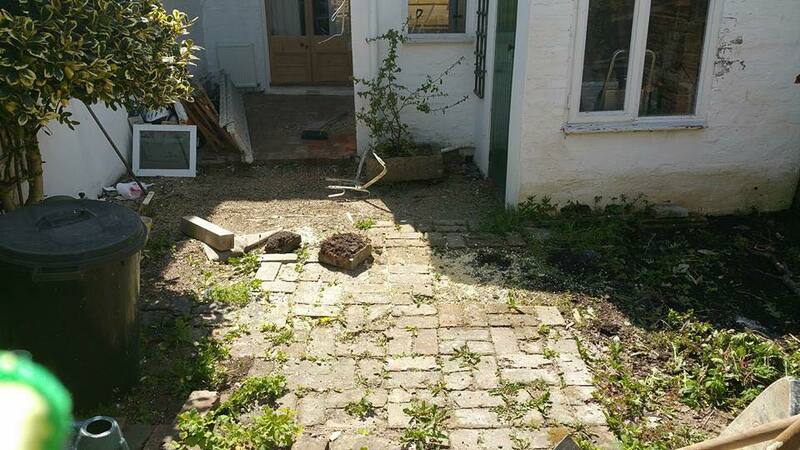 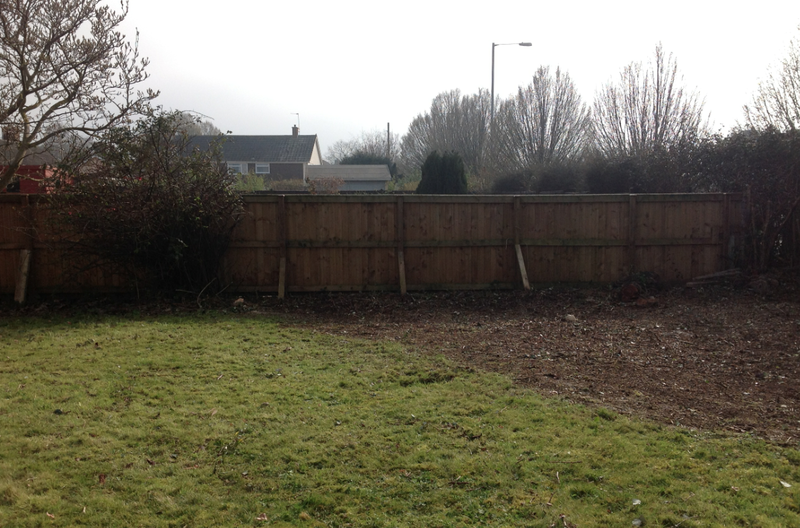 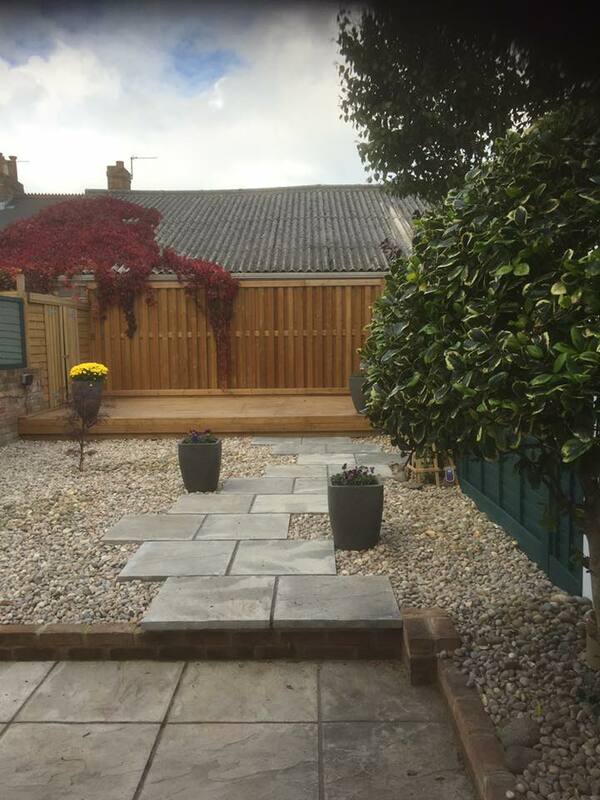 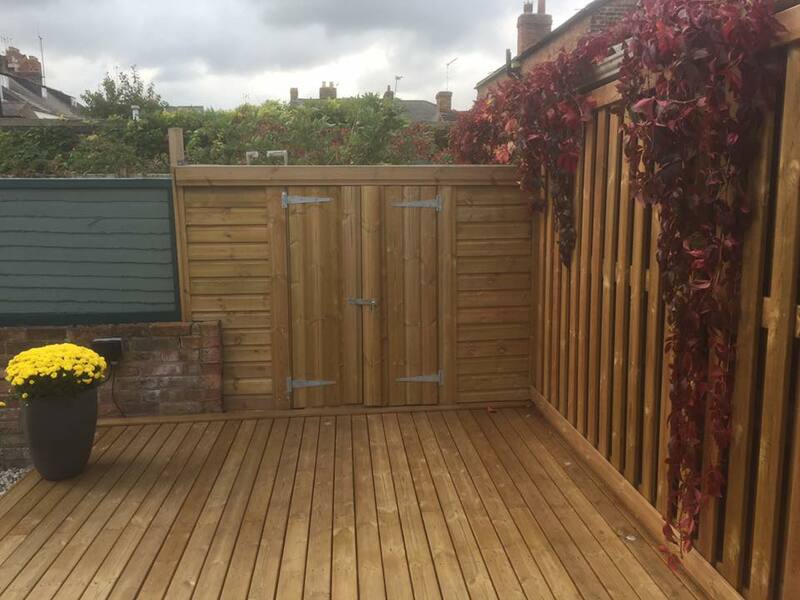 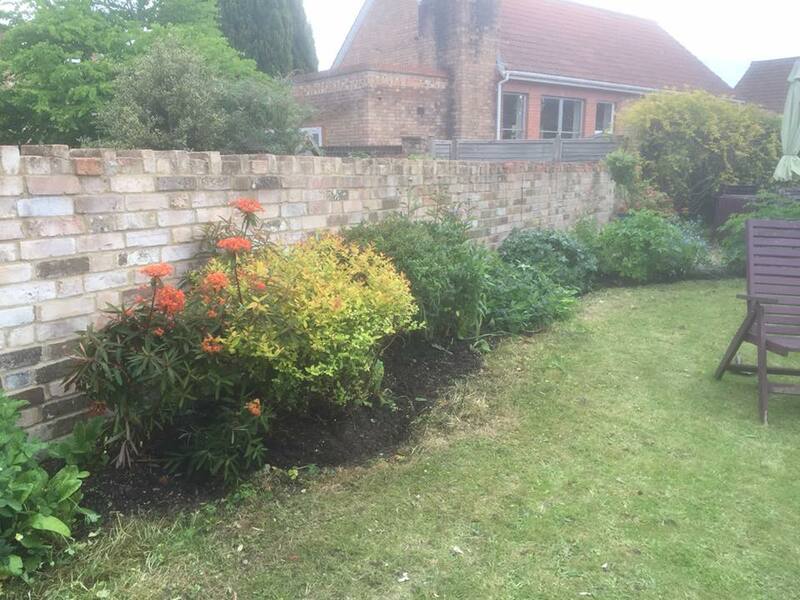 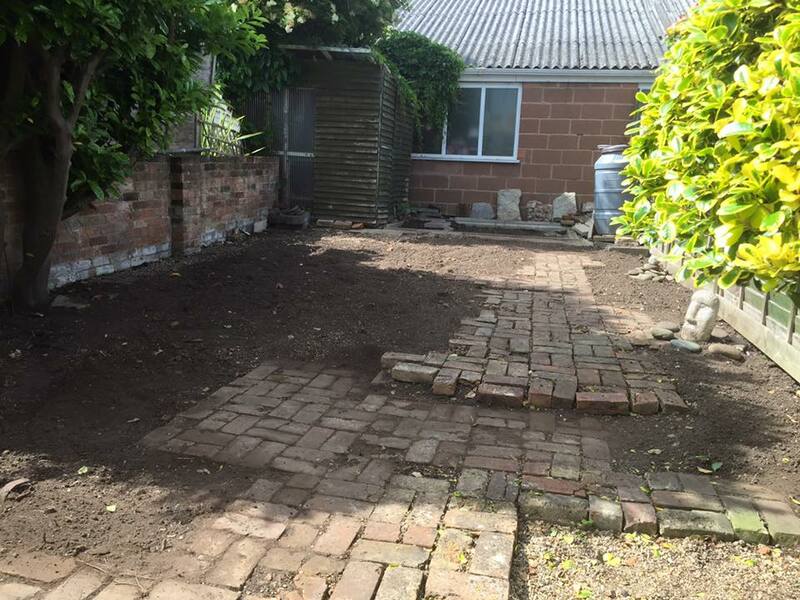 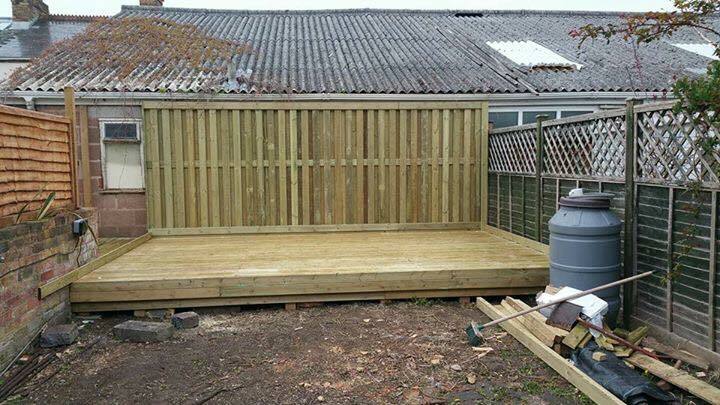 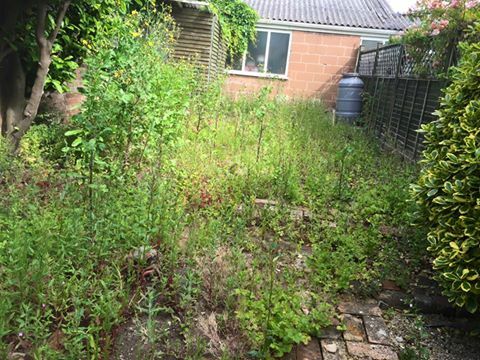 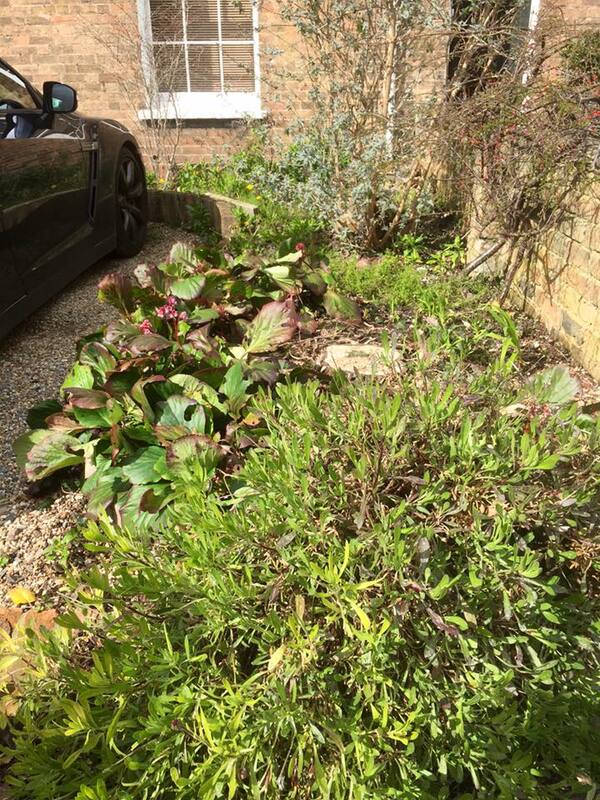 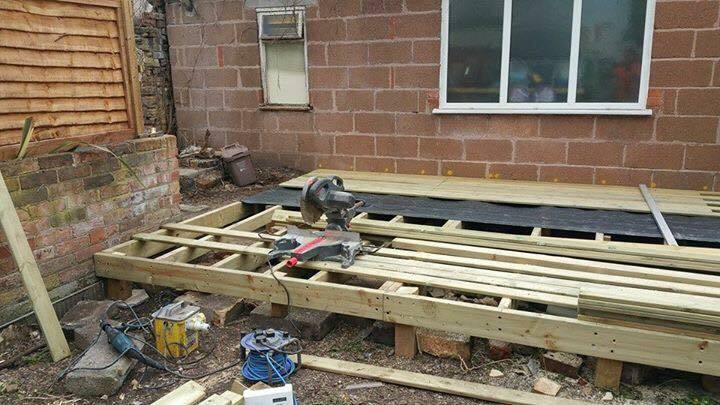 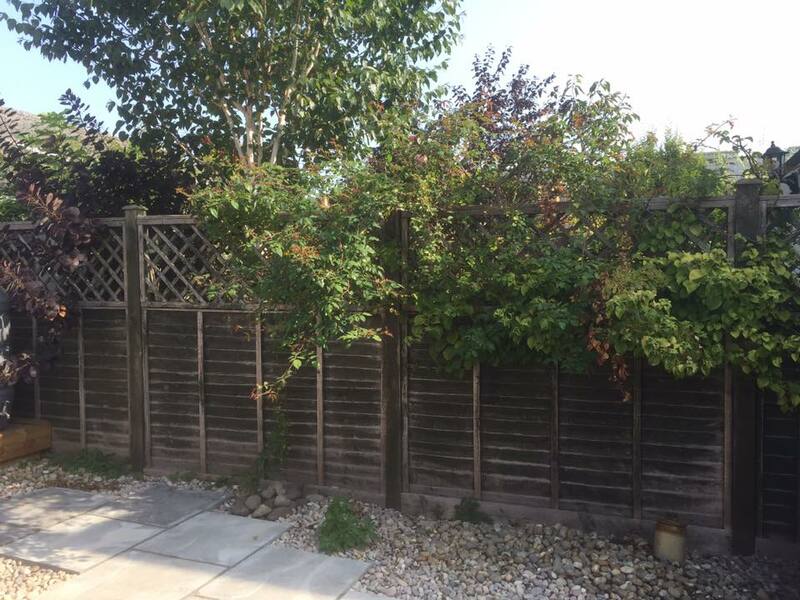 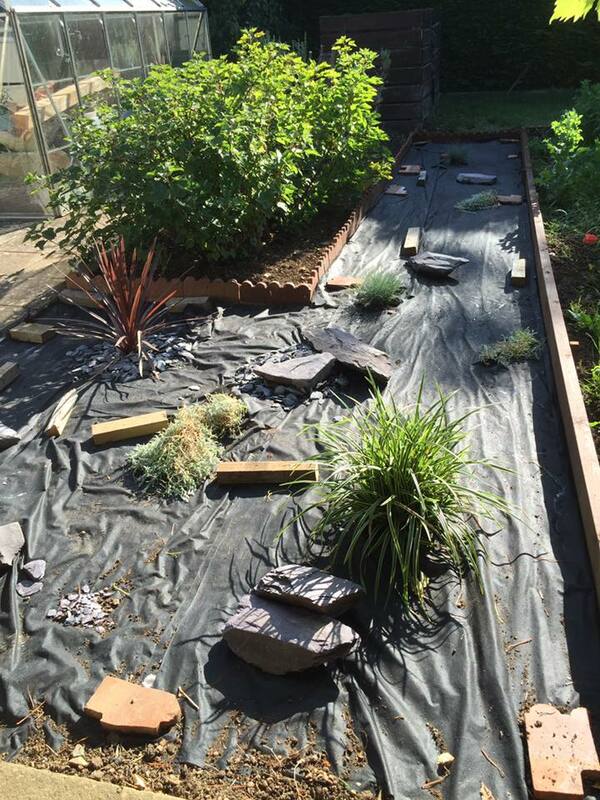 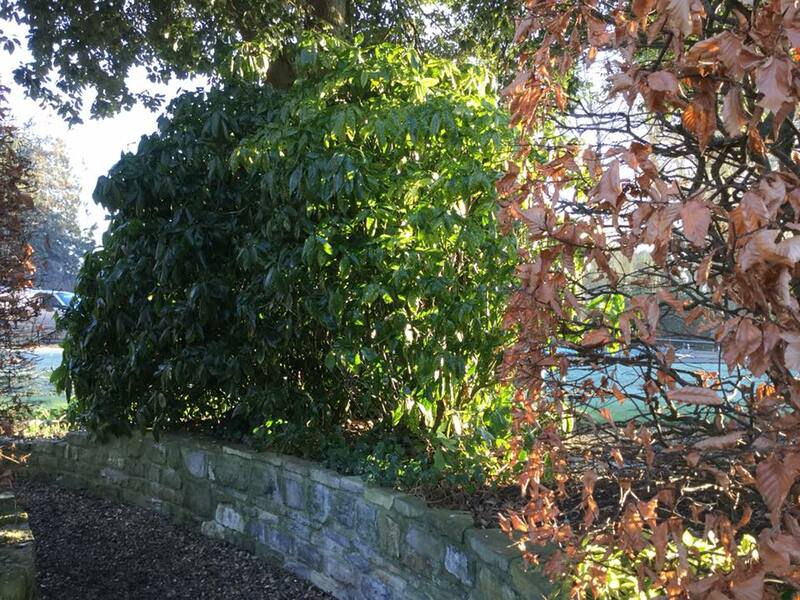 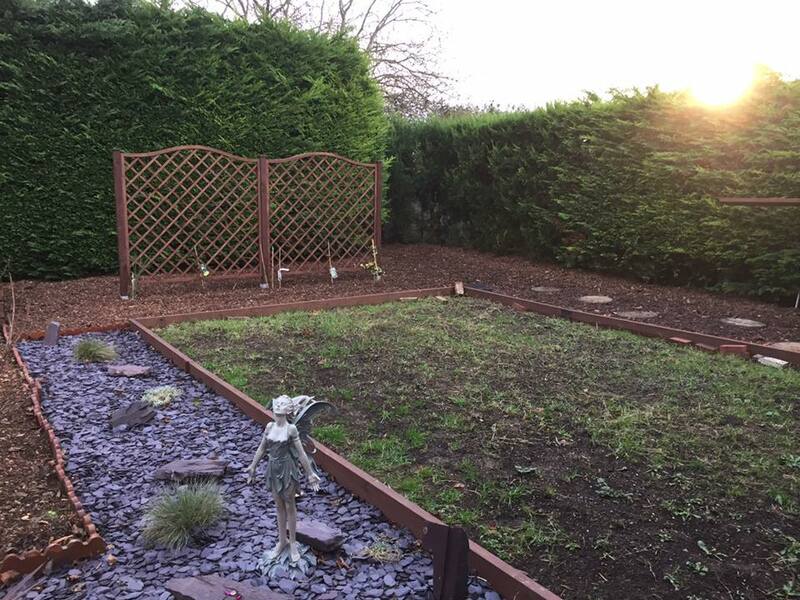 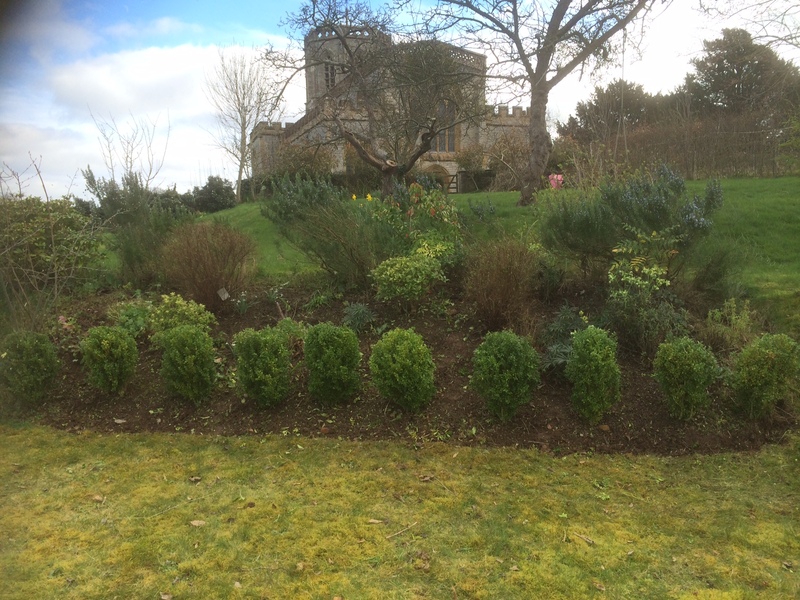 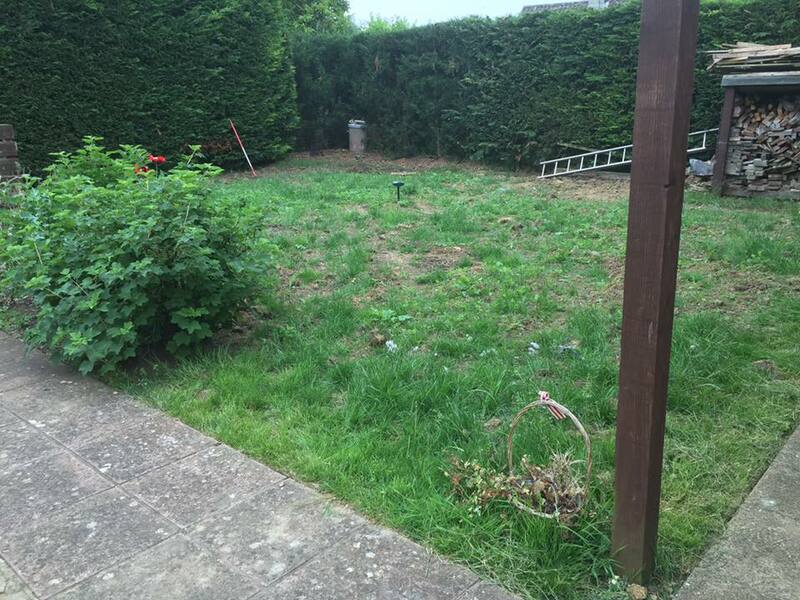 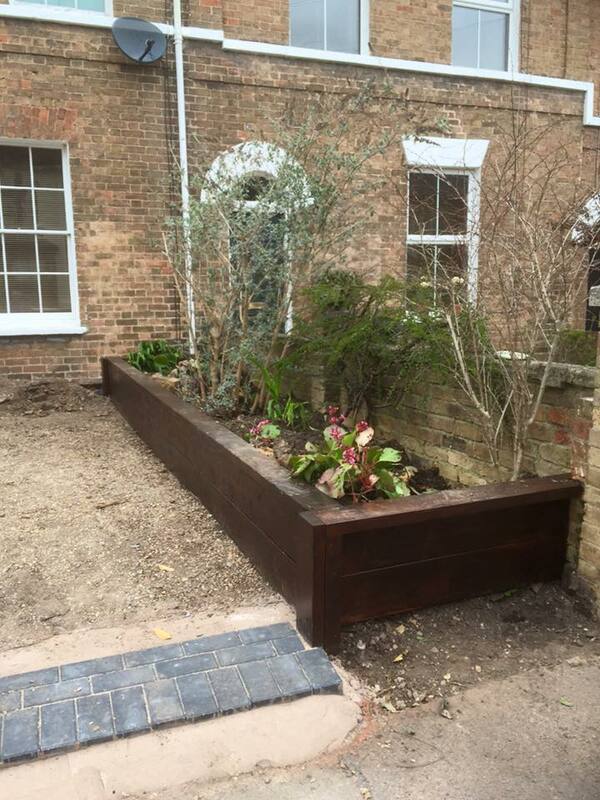 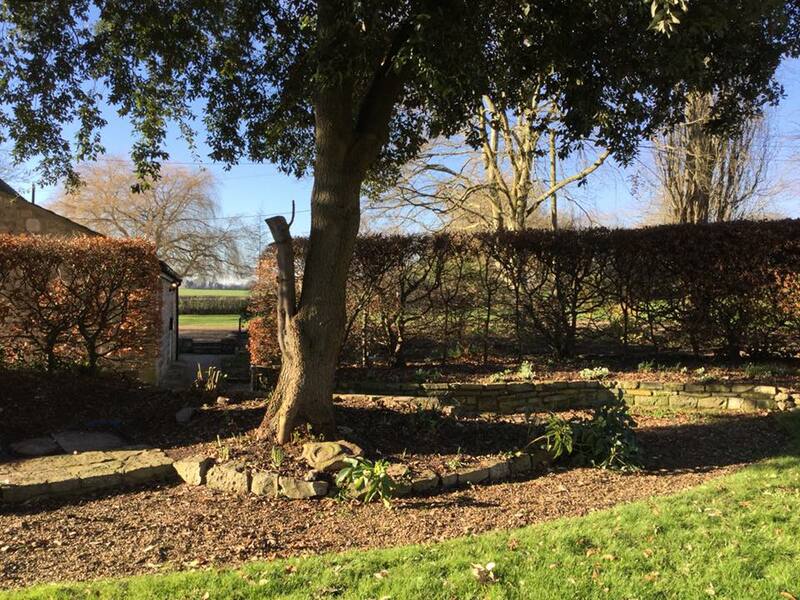 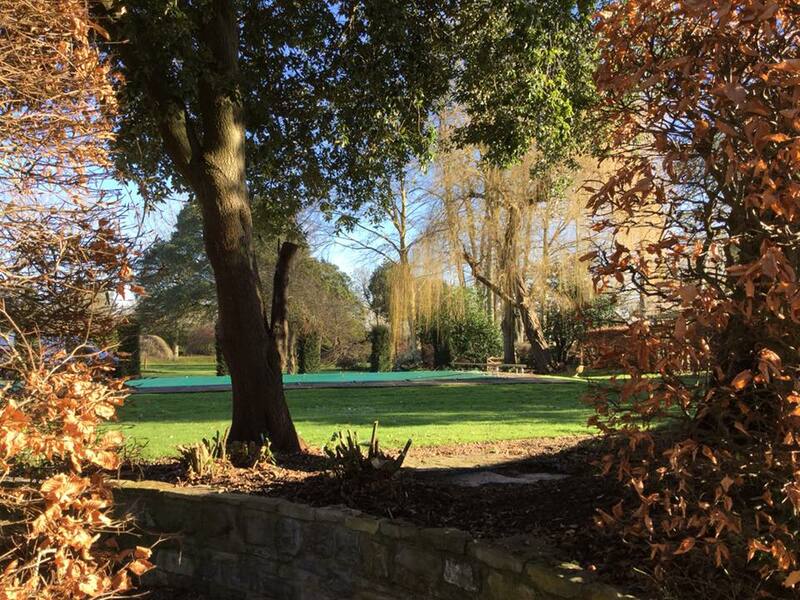 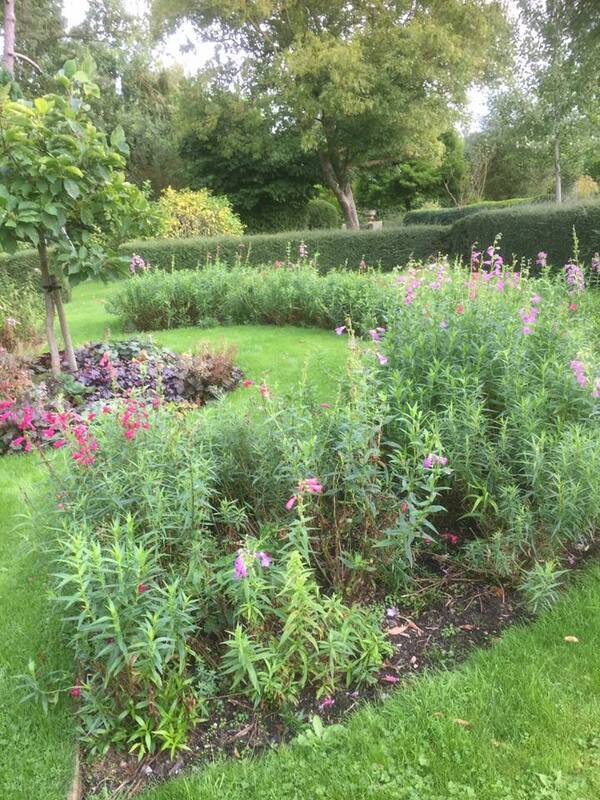 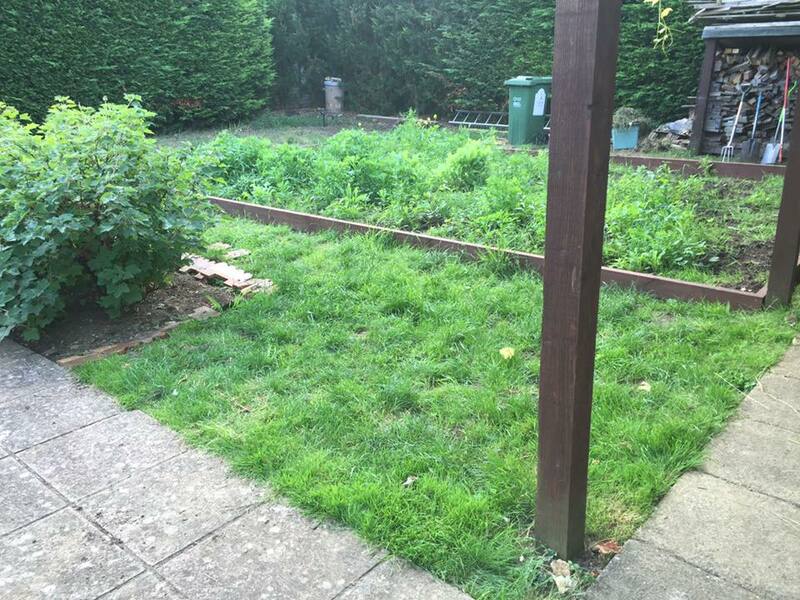 In Autumn 2016 the weeds team were busy transforming this space in a clients garden. 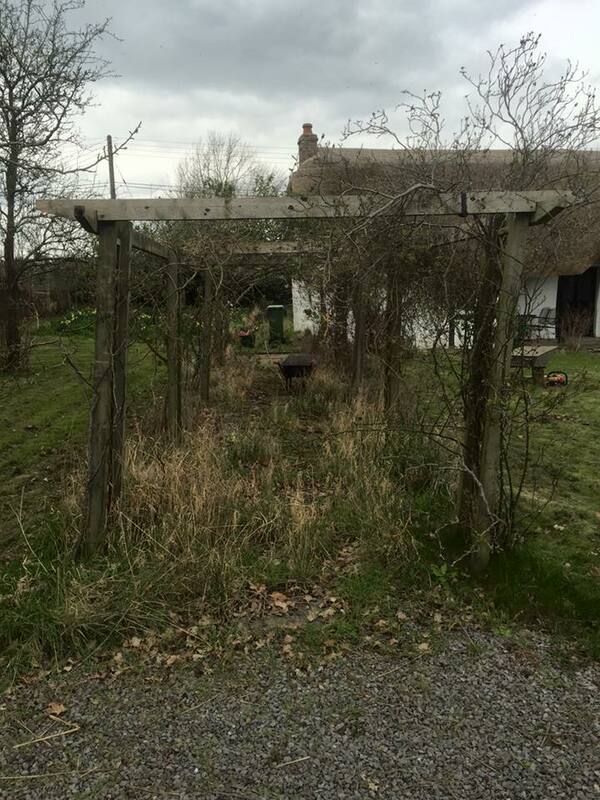 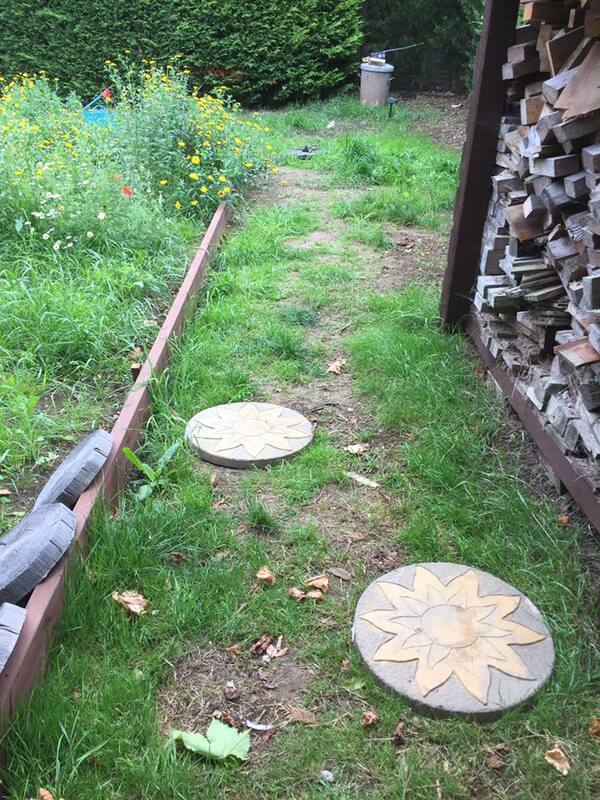 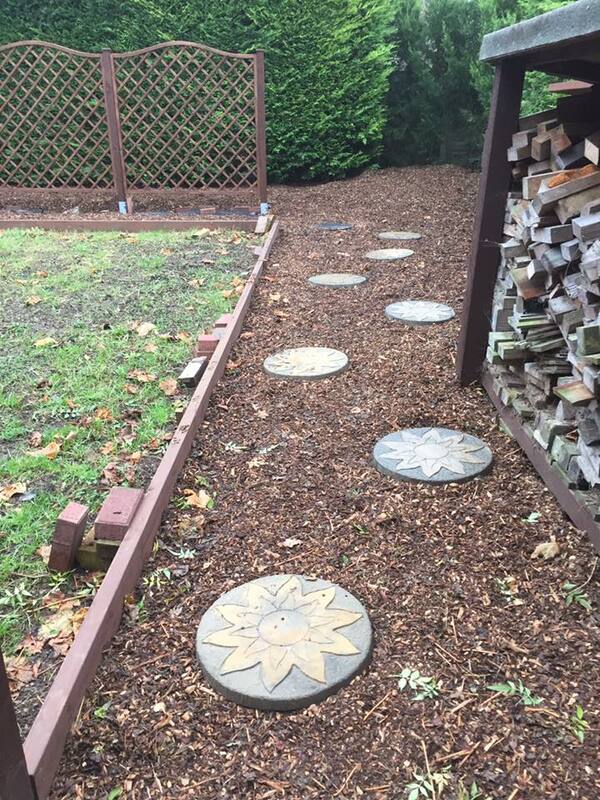 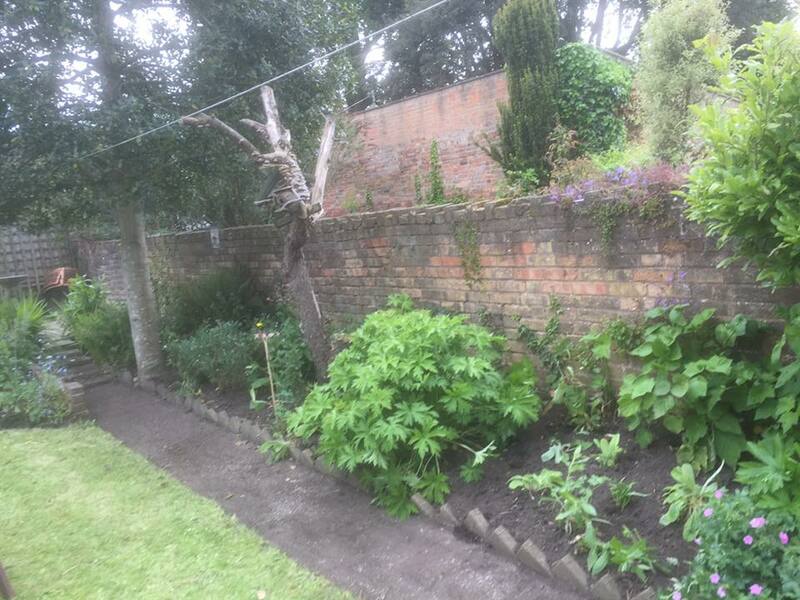 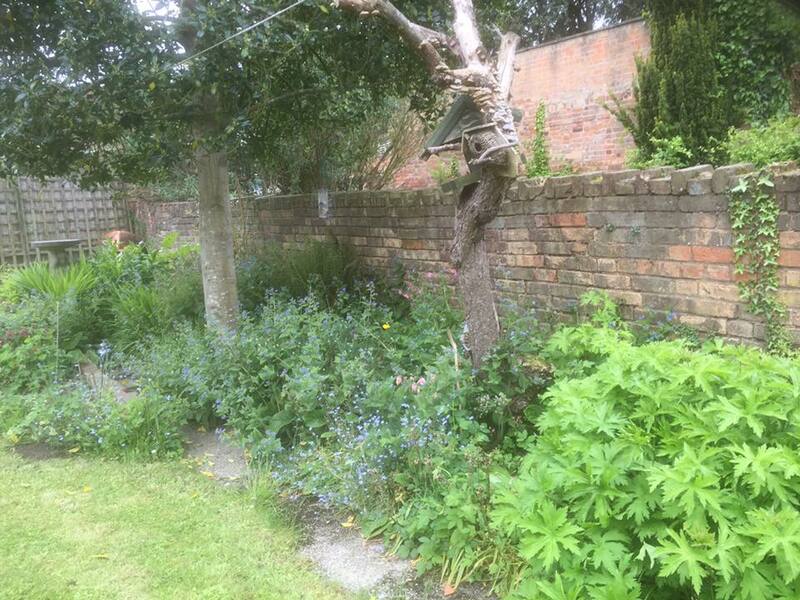 The client wanted a wild flower meadow patch in the centre, which would be surrounded by bark and blue slate, with a trellis centred at the back which would allow climbing pants such as clematis and jasmine to climb up. 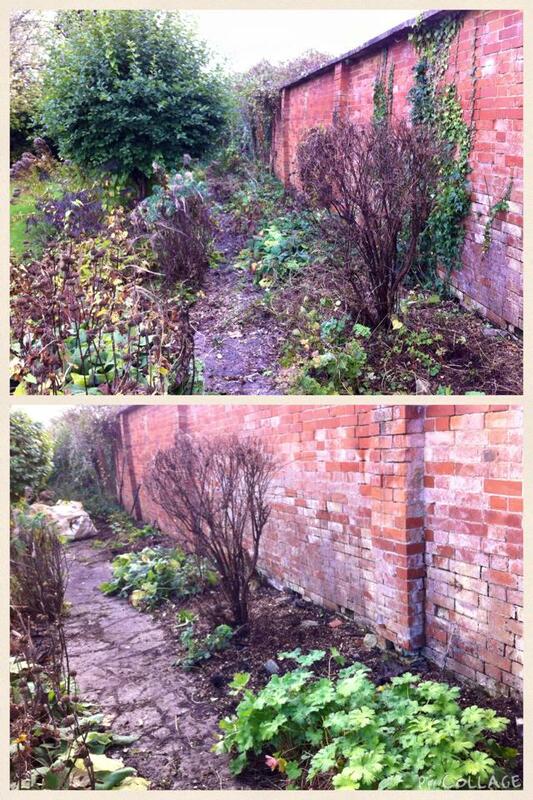 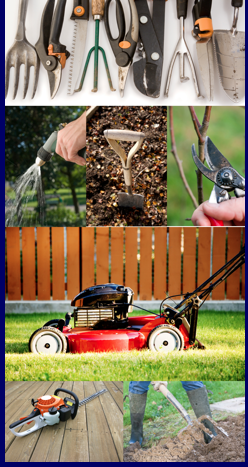 Removing a bush no longer required.